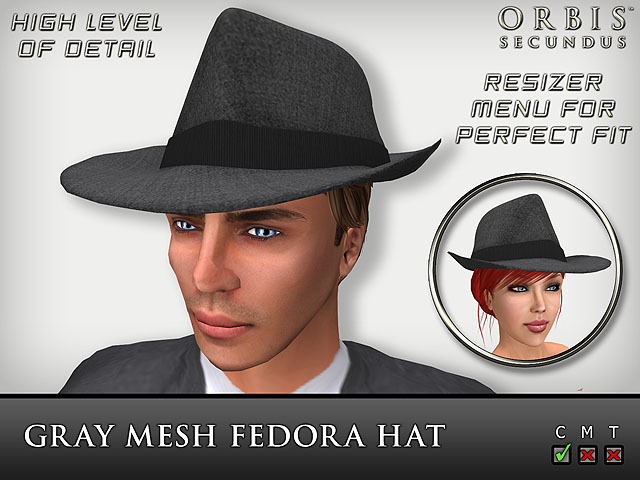 New Mesh Fedora Hats by Orbis Secundus. Released June 21, 2012. These hats may be worn by men and women and feature high level of detail to maintain their shape from afar, copy permissions, and a resizer script for a perfect fit. Available in the Marketplace in black, charcoal, blue, gray, and dark blue. 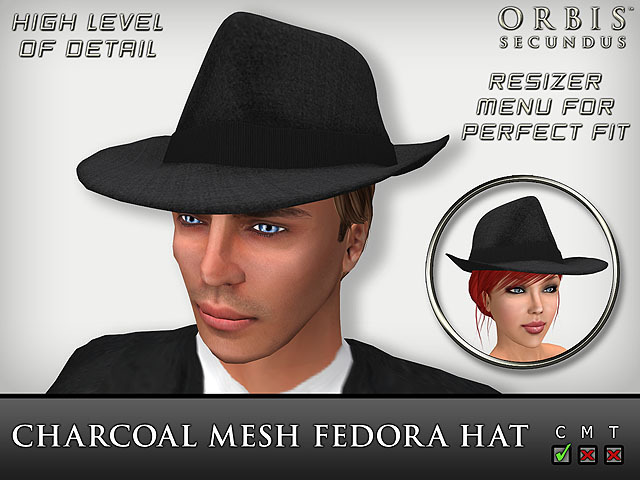 Click here to buy the black fedora hat at the Marketplace. The other colors are linked on the Marketplace page under "related items."